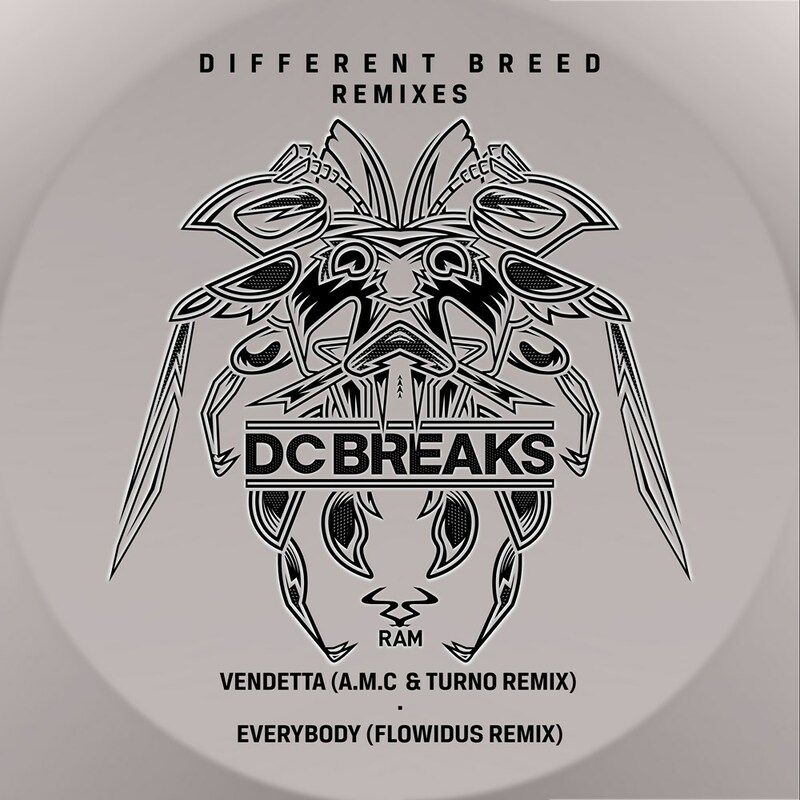 The first part of DC Breaks' 'Different Breed' remix package already climatised its listener to the standard of brought into its 2018 addition. With Tantrum Desire reworking 'Underground', and Prolix joining DC Breaks for a VIP of 'Infinity', it was a welcome reminder of just how imperative the pair's debut album was on 25-year strong imprint Ram Records. However they dip into a new range of producers for its next segment, focusing on 174bpm maestros who have helped drum & basses creative streams over the past twelve months whilst simultaneously paving their own way across its dancefloor lit trenches. Bass stacked duo A.M.C and Turno deliver their undiluted sounds for 'Vendetta', still pushing forward on its orchestral, beat layered introduction before taking you down to a completely different set of levels. Crushing LFO distortion and a sharp-edged hook cuts at you throughout every nastily padded break, with the outfit demonstrating why they're such esteemed players on today's club circuit. On the flipside, you're driven through the detailed intricacies of Flowidus' production, which weaves a craftily manufactured melody throughout the mix of 'Everybody', a single already pulsing with an emotive backdrop. The Australian based pair pulls the track into play with tinkling piano notes and a more-liquid focused breakdown which is still as dynamic but more subdued in its approach. They provide yet another addition to their releases on the Ram Records label, having already featured on both their groundbreaking compilations and its counterpart, Program. With more to come from the likes of Ram Records' own Loadstar, neuro-tastemaker Insideinfo, as well as a plethora of other vigilantly sought out drum & bass tastemakers, there's more from the aspirators who paved DC Breaks' path to 'Different Breed'.